Hurling himself down the tallest building in the world wasn't enough for Tom Cruise, in Ghost Protocol. 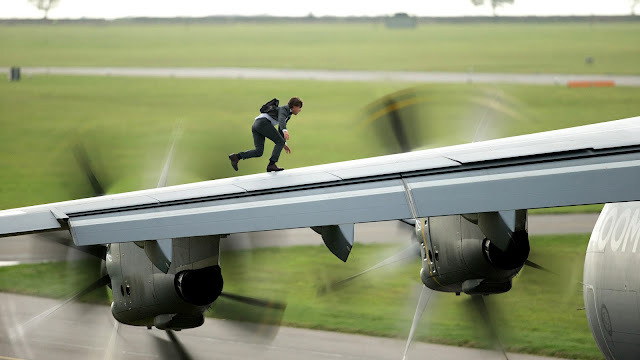 The latest instalment in the Mission Impossible franchise, titled Rogue Nation, sees the world's greatest action movie star hanging on to the side of a gigantic cargo plane. While it powers down a runway and takes off, with Cruise hanging on for dear life. Safety harness or not, there is no denying that the star has balls the size of planets. With Cruise at the helm as Ethan Hunt, the IMF find themselves in all kinds of trouble as they are shut down by the head of the CIA (brilliantly played by Alec Baldwin) and must stop the mysterious Syndicate from doing the usual bad guy stuff. Simon Pegg returns as uber geek Benjy in a far more meatier role than he's had before. While Jeremy Renner has found a bit of a shittier attitude in this outing, he takes a back seat for much of the movie. And Ving Rhames makes a welcome return, although he's a little underused. Those irks aside, the chemistry the cast have between them is second to none. 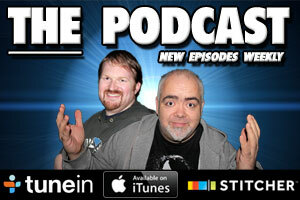 Pegg and Cruise bounce off each other incredibly well. Alec Baldwin looks like he had an absolute blast as the head of the CIA and Rebecca Ferguson turns in a career best performance in a role that twists and turns, and she is utterly convincing. However, the bag guys leave a little bit to be desired. Sean Harris plays Lane, the stereotypical cliched bad guy, and at times he looks like he's trying to channel Christoph Waltz. But he is neither menacing nor convincing. While Jens Hultén gives it his all as another cliched hired goon, he falls into the Harris category as well. Underwhelming bad guys aside, Rogue Nation is still a damn good time at the movies. 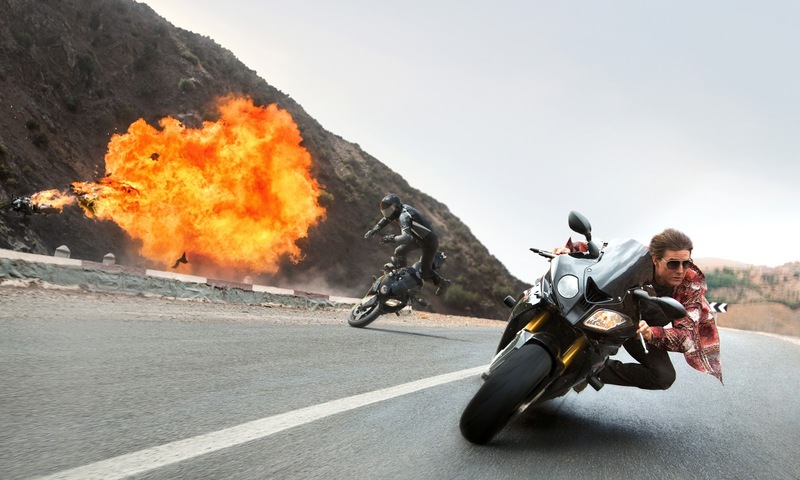 Granted, a set piece involving motorbikes looks like it's straight out of Mission Impossible II and as exhilarating as it as, it's a bit disappointing that it seems like nothing more than a rehash. However, the rest of the set pieces are inspired and fantastic. Cruise trained for months to learn how to hold his breath underwater for 6 minutes, and the underwater scene is real edge of your seat stuff. In fact it's quite uncomfortable to watch to be honest. And it's all Tom. Stunt co-ordinator Wade Eastwood said “On two or three occasions I brought him up because I felt he was down for too long. He was like, ‘What are you doing? I was right in the moment. I’m acting.’ And I was like, ‘I know, it was just too real for me and I wasn’t comfortable." And make sure to hold onto your stomach in the plane sequence. 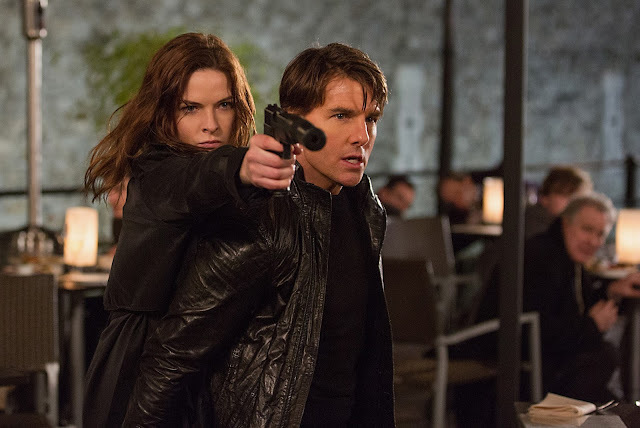 Besides the underwhelming bad guys and a disappointing finale that build and builds but ultimately fizzles out, Mission Impossible Rogue Nation is one of the best movies of the Summer. Tom Cruise proves he's the one of the all time greats (again) and this is exciting and thrilling cinema. A must watch! !